Home / Housework / How to bring faded spots home remedies, and what to do, so as not to continue to shed? How to display faded spots home remedies, and what to do, so as not to continue to shed? Not all housewives know what to do if a new expensive thing faded in the wash. Of course, this is - quite a serious problem, and to bring these spots will be difficult, but try it is worth. And we'll tell you about the most effective ways to get rid of the faded spots. If immediately after washing, you notice that your favorite white dress shed another thing immediately perestirayte it in cold water several times. After manipulations it must regain its original color. The best way of removing stains are faded stain removers. Fortunately - there is now a huge variety of them. For white things you need to choose the means to mark «White», for color - «Color». It is best to choose the oxygen bleaches, they cope with this task better than chlorine. Exist Special universal remedy K2r - It perfectly displays stains from clothes from anywheretissue and any color. However, to achieve the desired result, you must strictly adhere to its instructions for use. One packet is intended for 8-10 liters of water. As soon as you soak the clothes in this facility, it becomes grayish color, but then return its original color. If there was a tragedy with a white thing, you can easily wash off, soak for 20-25 minutes in white. Then again thoroughly wash the thing. If you do not have at hand you can use special stain removers, as follows recipe: You will need one tablespooncitric acid, starch, soap chips and? Art. l. salt. All the ingredients are mixed thoroughly. The resulting mixture was put on a faded stain and leave for 12 hours. Then again wash the thing. This method allows you to display faded spots with virtually all types of fabrics. Solve the problem with faded spots you can help ammonia. To do this, you need to soak the affected itemsin its aqueous solution (20 ml of alcohol per 10 liters of boiling water). 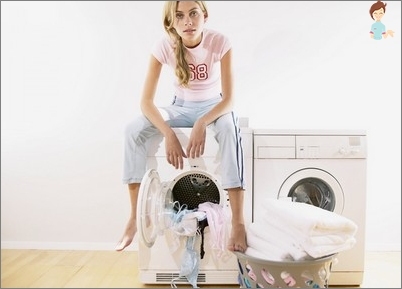 In the resulting solution, the clothes should spend at least an hour. Then it was again necessary to stretch well. Of course the smell is not very pleasant, but the result is worth it. This method is well suited for both white and colored fabrics. Save faded thing you can help 6% hydrogen peroxide. To do this, you need to soak the affected items in the solution of peroxide and washing powder for several hours. Then wash the clothes and rinse again. In the dense denim display faded spots, you can use baking soda. For this to apply spots of soda pulp, and then after 10 minutes, again well wash the clothes. If you have experienced all the ways to get rid of but have not managed to stain you just try repaint the thing in a darker color. It uses special dyes or whiteners. Remember: even if you really want to restore the color offaded things, it is not necessary to use the above methods several times - this can damage the fabric, and then you will not even repaint in a different color. How to wash, so things do not shed? 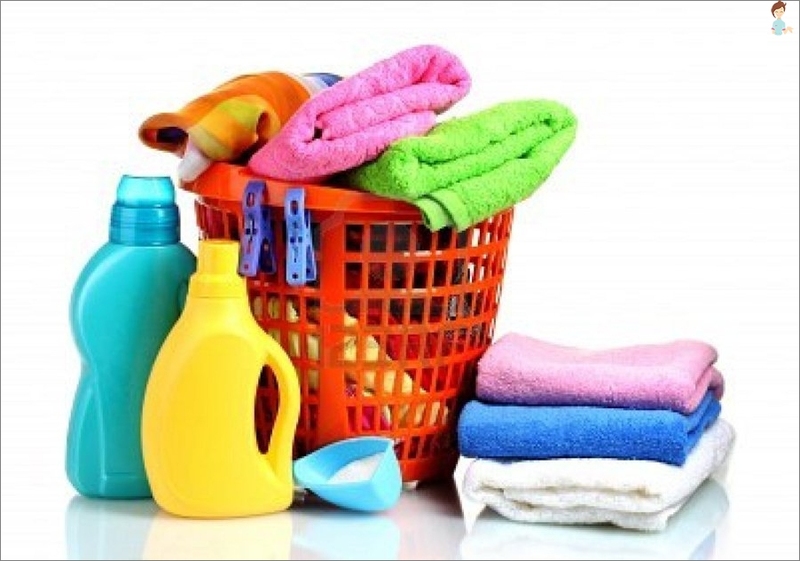 Before washing, examine the label on the clothes carefully - there will necessarily be specified at what temperature it is best to wash it to get damaged. Always wash separate white and dark colored items. Remember - most often fade cheap synthetic fabrics in bright colors, natural fabrics are safer. New things are best washed separately from the rest. To avoid trouble, you can pre-soak thing for several hours in a solution of common salt. Since paint fabric hold, and is not shed during washing. Recipes with goji berries - how to cook delicious and healthy meals?